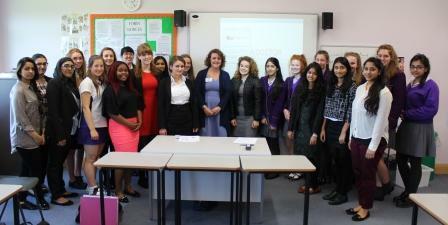 Yesterday, we welcomed two former pupils to Westholme to host seminars as part of the Sixth Form enrichment afternoon. 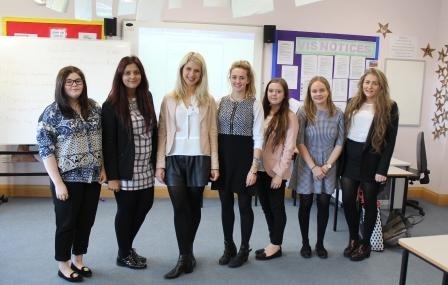 Lucy Hutchinson (2009) an expert in the field of Art gave a talk to A level art students about her career path since leaving Westholme and going to study at university. Lucy studied Fine Art at Coventry University and presented a Power Point to our students with examples of some of her work. A Question and Answer session followed, which the girls found to be extremely helpful. Lucy even set them some research experiments for their course. Lucy has been doing some amazing things since leaving University. She was recently selected to be exhibited in London and is also represented by a gallery in Hong Kong. In Spring 2014, Lucy was awarded a residency at the Birmingham City Library, where she currently has an exhibition. Secondly, Dr Angharad Chilton (nee Lewis, 2008) spoke to our budding medics about the route she has taken since leaving us. After gaining three As at A level, she went on to study at the University of Sheffield and shared her experiences of University life with our current students. She gave them a few interview tips, ahead of Friday’s Sixth Form Interview Day, but didn’t give too much away, as she is also one of the interviewees! Once again, the students were able to ask Dr Chilton some questions; one question was whether she was nervous about getting a medical procedure wrong! Other important questions included what grades she got in order to get onto her University course and what route Dr Chilton plans on taking next. The girls found this friendly and informal session extremely helpful. 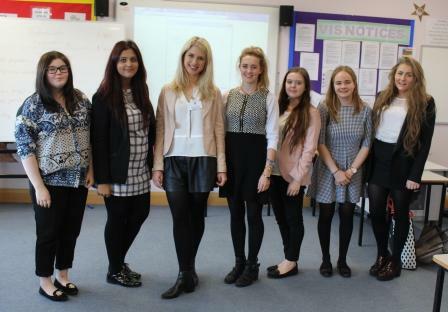 We would like to thank both Lucy and Angharad for giving up their time to talk to our students. We value strong links with our Alumni and look forward to welcoming many more back to Westholme for another enrichment session throughout this academic year.